I am feeling all nostalgic as I write this post. Maybe it is the weather? I am sorting through my books and boxes after a stint of DIY and these objects really jumped out at me as they twinkle in the April daylight!Now I have a clean and fresh space at home it gives a inner calm after a busy day. The buttons are mother of pearl and sewn onto a photo book of all my old baby pictures my Mum made for my 30th birthday. I like at each button like the photos are unique but together they form a regulated pattern. The pearl silver box was a present and you just want to touch all the little crystals and pearls on the top! Finally the antique style candle holders catch the day light and sparkle or chime in the wind. I am feeling calm and ready for the week ahead. Hope you are too? Making a Silk Dress For Baby.. I love stitching with silks, whenever I have a bit of a 'do' to stitch for I like to buy some posh material and make up a dress that really deserves to have the time and love stitched into it. So many fabrics these days are poor quality, you can just feel the print and weave is hard and scratchy and not nice against your skin. So to work with silks that are beautiful, natural and drape wonderfully is such a joy. You pay a bit more but it is really worth it. Make sure your sewing machine is set to the right tension for a silk. Adjust both your top and bottom tensions so that the fabric doesn't pull or when the seam is stretched the stitch doesn't show. This is called 'grin through' like the seam has big teeth grinning at you! Use a test scrap first and sew your fabric with the thread you will use for the project. Make sure your stitch is right before you start to sew. Use a light weight interfacing if your silk is light weight. You don't want the interfacing to pull! Try stitching with a ball point needle and use a 80 max to stitch with. If your fabric is super delicate stitch with tissue paper and then pull off the tissue at the end of the project. The seams will not pucker with the tissue. Try and not unpick - silk is not that forgiving, if you have to try and steam over the unpicked stitched to make the fabric fall back to it's original weave. I always wash silk by hand washing and then putting it in a plastic bag and putting it in the freezer! The water is frozen off and you just then shake off the ice when taking it out the freezer and hey presto no watermarks. Try it, it really does work. Try and handle as lightly as possible, stitching and handling and cause your fabric to fray! 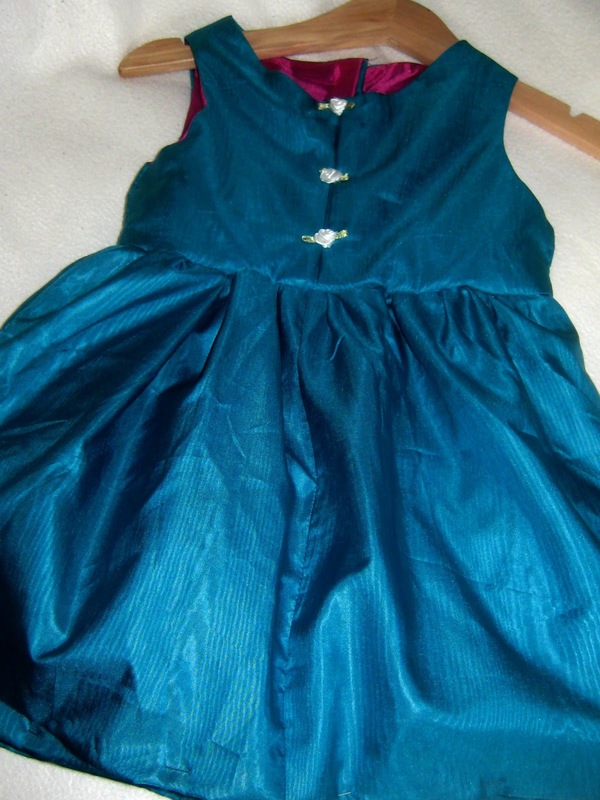 This dress for baby was made from silk taffeta with a gathered skirt on a lined bodice. The bodice was finished with a bias binding to trap in the oh so frayed silk to make it lye flat against the baby. The skirt was given some fullness with self coloured net gathered to the under petticoat. An extra inverted pleat was added to the centre front to add decoration and also a bit more room if baby had a growth spurt in the two weeks I set to make it in! I hope I have inspired you to try working with silk, I pay about £10 - £15 per metre for my fabric no more. Try it and let me know how you get on.. This is super easy, vegetarian and cooks in 20 minutes. I don't use the traditional method of stirring the rice until it gets lovely and fluffy in with the rest of the ingredients but use a separate pan to cook the rice and stir. This means it is finished in half the time of traditional cooking. Risotto should always have the following - garlic, parsley, hard strong cheese, lemon and vermouth in my opinion! This version is a rosso version with a mid price vermouth rosso to add sweetness against the lemon and garlic. I roast the pepper the night before in the oven and leave to rest in the fridge in good quality olive oil. Let's Cook! 1. Bring to the boil the risotto rice in the water, parsley and stock cube. Simmer and stir in the vermouth. Stir so it's doesn't stick to the pan for about 15 minutes. 2. In a pan, sauté the onion, pepper, garlic and chili. 3. When the risotto rice has taken up all the stock and vermouth add the rice to the vegetable mixture. 3. Stir in the cream cheese, hard cheese and lemon juice. 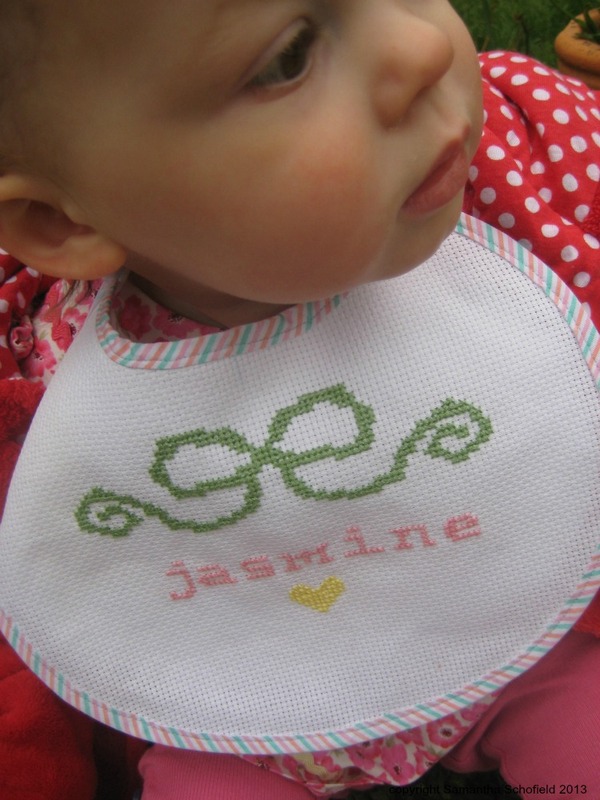 Check out my DIY Baby Bib project on Cassie Jene's fab website. I have had the honour of featuring this candy coloured cross stitch project. It is perfect for a new baby project and simple enough for beginners. And what a beautiful little model for the project too (I am biased)! I want to a say a big thank-you to everyone who has taken the time to read and comment on my blog. It means a lot. So here is a sneak peak of what I have got planned for the months ahead. If you are interested in posting or have a product that needs a crafty review, drop me an email samanthaschofield@gmail.com. I am PR friendly! This book was my Granny's needlecraft book and over the past three years has been a great resource for me when I am stuck or trying out new techniques. Sadly Granny is not here to ask anymore. As you know I am trying to learn to crochet and this book has been such a help as it starts off with small projects, crochet a lace collar or a trim for a garment. Really basic but simple for me to do in the spare time I have. So, if you are new to crafts, go on ebay and get yourself a copy. You won't regret it! I have been reading the blog mymakedoandmendyear and it got me thinking of what I could I could make for the family that is green and from everyday items you find in the cupboards. I really think that our household footprint is getting too big and if we all do something green for the home the world would be a more eco-friendly place. 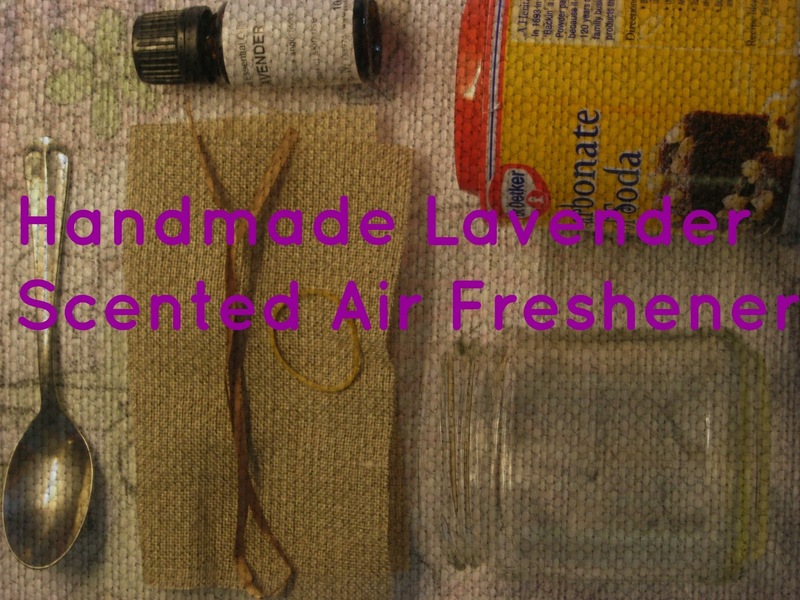 Having a creative mind and also loving the fresh smell of scents...I bring you my Lavender Scented Air Freshener. I really love to make soaps, bath fizzes and candles so this is just another creative craft to add to my making list. I like it as it doesn't pump out those nasties that chemical versions do and all the ingredients you can find in your store cupboard. As I am a asthmatic I wouldn't use the chemical versions as they trigger attacks. So this version is so mild it even goes in babies room! The scent lasts for a good month and even helps sleep. And we all like babies that sleep! Mix the baking powder and essential oil drop by drop in the jar. It will fizz so be careful with the mixture. I mixed over the kitchen sink. Add the fabric cover and secure with the band and cover with a ribbon. I give mine a shake every few weeks to wake up the smell. My foam pad was sticky on one side and had a peel off side. I laid out the foam pads on the craft board and took my pretty paper to lay over the sticky pad. I then stuck my paper to my pad making sure it had no air bubbles or creases in the paper! With a very sharp craft knife I carefully cut out my washi tape and put a little 'V' at one end. I repeated this three times to have three washi tapes on foam pads for my card.. I love this card, with it's parcel look. The washi tapes make it look like it is already to parcel off! 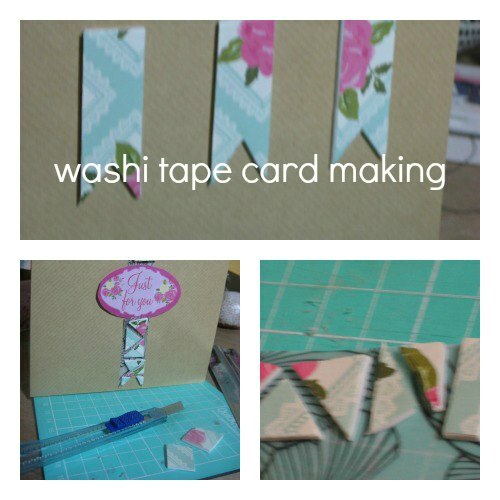 To recreate this look, cut out your three tapes and stick equally on your card in the bottom half of your card. Take a message topper and with foam tape centrally stick to your card. Looks such a professional finish! ..and with the spares from the washi tape points, stick them all on a piece of vellum and recreate a washi tape on foam padding as above! waste not and would you believe that these are all the left overs? 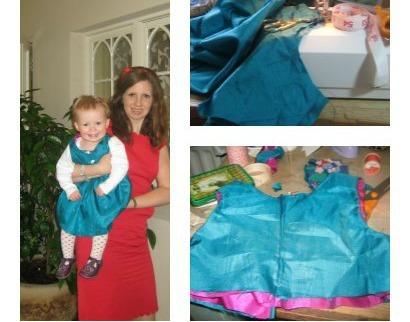 Thank-you to Claire for a fab post! I was thrilled to be asked by Craft Candy to be their guest blogger. So with the Summer coming and thoughts of special occasions, I asked if I could do a fascinator project with an up-cycling theme. They said yes and here is the result..
Sewing - is it now popular? I grew up when to see sewing on the TV on a Tuesday evening or see a sewing machine available in your local Ikea would not have existed. I have the pleasure to tell you that Oh yes, sewing is popular and available for all. Happy news for all sewers up and down the UK! We saw The Great British Sewing Bee on the BBC this week, covering sewing challenges of all techniques and all ages. Watch again and even if you are a sewing expert, the history of dress patterns is a real insight. I then on Tuesday saw that Perri Lewis had posted on her blog - makeanddowithperri about Ikea stocking sewing machines. really? Ikea? I went to see what the reviews were like? This review from Thedailytelecraft sums up the machine reviewed by a beginner. It is a US review and a great read. Do let me know what you think if you have one of the machines. I love that the spare thread is pink and agree it should be white. We all need white thread in our sewing boxes - right?! So hey, sewing seems to be all around us and it is good it is finally popular, maybe a nod to unique, handmade clothes in the double dip recession? I personally think it is all good news and long may it last! Now we need some great fabric shops back on our high street. There is a thought. I love rum and raisin ice cream, it reminds me of warm sunny days and the seaside. So with this thought, I created a chocolate rich cake. Make it thin in a 8" tin, it will make two tins worth. Store it up to 1 week in an airtight tin. Serves (both tins ) 10. Great slightly warmed with ice cream. Preheat the oven to 180C or equivalent. 1. Cream together the butter and sugar to the mixture forms soft pale cream peaks. 2. Add the essence and each egg one by one and beat well. 3. Sift in the flour and cocoa, then fold in. 4. Add the raisins and fold again. 5. Grease both 8" tins and add in the mixture. Bake for 20 minutes or until the cake is springy to the touch. Leave to cool before turning out on wire racks. I really love this recipe with a good quality coffee. A real treat. If you liked this recipe then search my blog for more recipes and baking posts under the title header. Tonight on BBC2 at 8pm, the BBC gives us a new sewing competition ! !Click on the link above. I really hope it does for sewing what Kirsty has done for vintage and Mary has done for cakes. I was lucky to study textile and dressmaking to degree level, others without the support of local courses were not as lucky. So let's hope that sewing is coming back and bigger than ever. It has been a very busy weekend of Easter treats, family fun and time together. After two weeks of illness and nasty bugs in the household, we are getting back to full health. Will be back to the blog this week with some lovely new projects. Here is one of the Easter baskets I made last Friday for the family with crocus I planted at Christmas, eggs, little chicks and Easter confetti. Love to see other Easter baskets..